Varnishes catering to a wide variety of end uses. 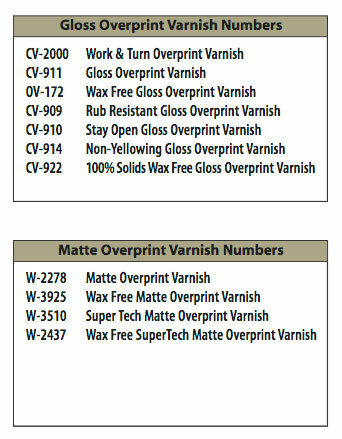 Superior offers a complete line of overprint varnishes made at our varnish facility. This enables Superior to exercise the highest standards of control in the formulation and manufacture of our varnish products. Superior lithographic overprint varnishes are a recognized market leader.